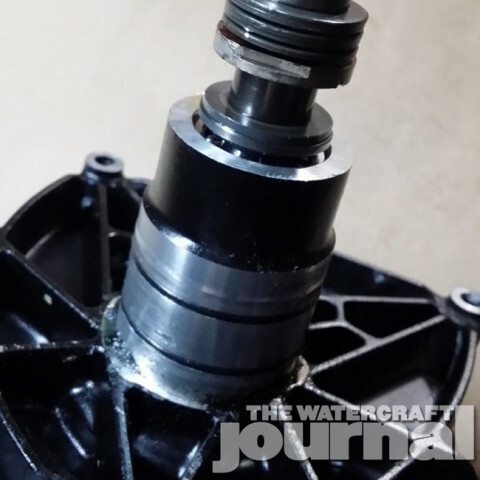 Gallery: PWC Muscle Gives The Whys And Hows of Sea-Doo Supercharger Rebuilds | The Watercraft Journal | the best resource for JetSki, WaveRunner, and SeaDoo enthusiasts and most popular Personal WaterCraft site in the world! 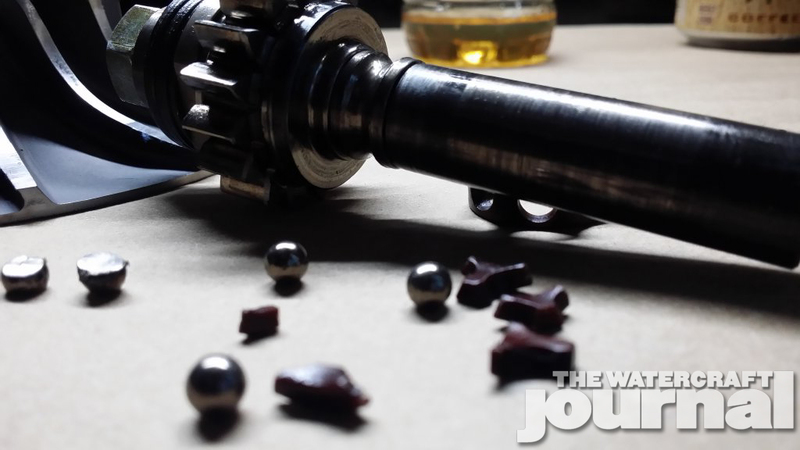 High performance engines simply require better care, high quality parts and studious maintenance than their less potent siblings. 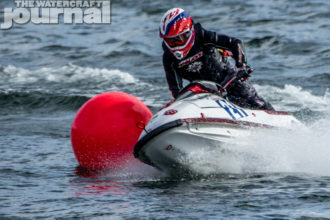 Since its introduction in 2003, the supercharged Rotax 4-tec 3-cylinder has remained one of the most prolific and popular performance powerplants in the industry; finding its way in more top speed-pursuing conversion skis, more race-ready watercraft and more enthusiasts’ machines than feasibly any other personal watercraft engine. With its popularity comes the need to service it regularly, and we’re not just talking about regular oil changes. 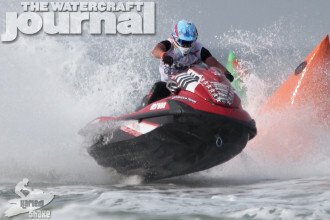 From 2003 until 2008, Sea-Doo used ceramic clutch washers in their shaft-driven supercharger assemblies. 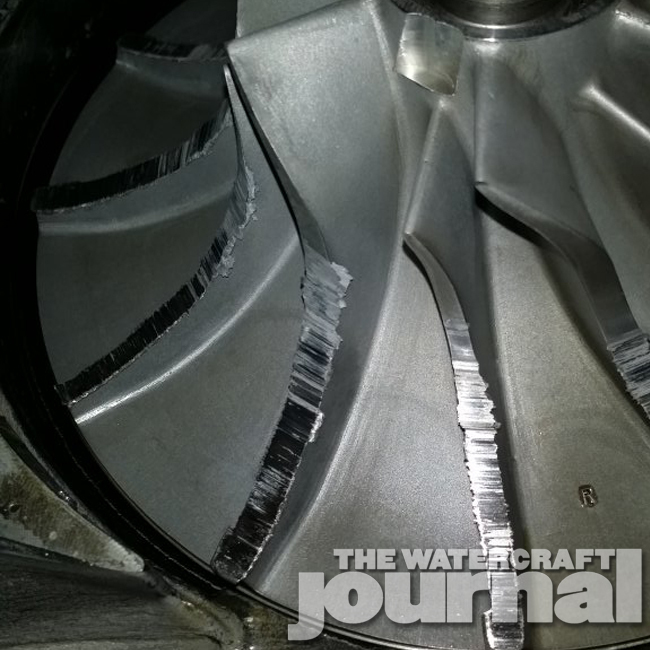 When subjected to high instant loads over a long period of time and use (without proper maintenance), these ceramic washers have been known to fail, fracturing into many pieces, which can lead to catastrophic engine failure. 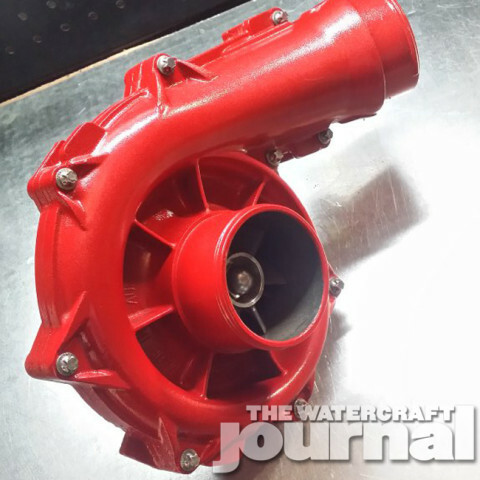 We discussed this matter with PWC Muscle’s Joe Zammataro, whose shop offers comprehensive supercharger maintenance and rebuilds service to hundreds of Sea-Doo enthusiasts annually. 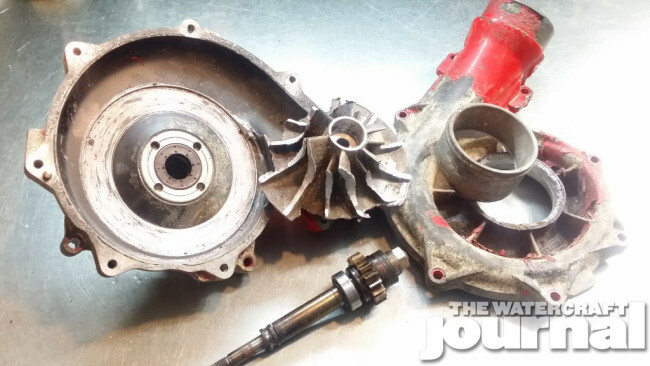 Zammataro was willing to not only draw back the curtain on PWC Muscle’s process, but also walk us through how a supercharger can fail, what happens when it does and finally, what goes into rebuilding one if and when it does. “When the ceramic washers fail, they leave highly-abrasive materials in the oil pan. 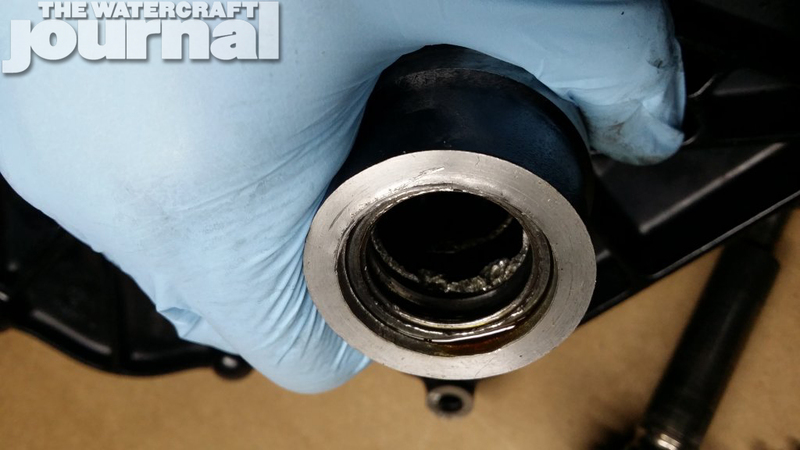 This can affect all of the bearings in the engine’s lower assembly,” Zammataro explained. 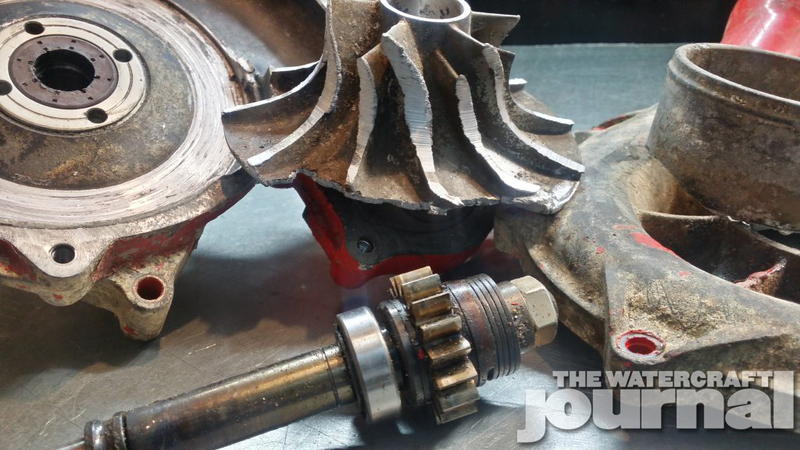 “The supercharger clutch sits directly above one of the engine’s oil pumps. Usually the material gets caught in the oil screen (not to be confused with the oil filter), but eventually works past it. If this happens, it will ruin the oil pump and you’ll get oil starvation. That’ll lead to what is known as grenading the engine, as the whole thing will lock up due to lack of oil. 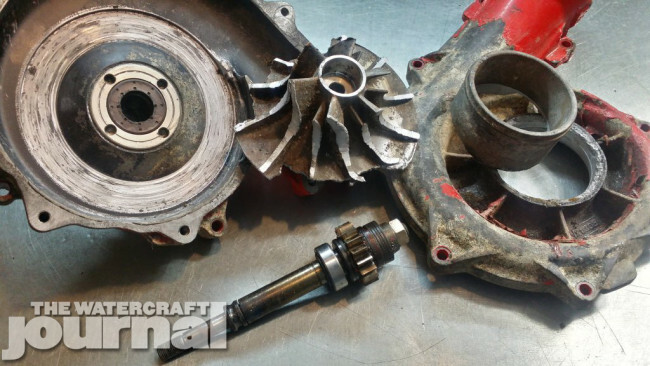 “Supercharger clutches exist so there can be a variance between engine speed and the impeller in the supercharger. 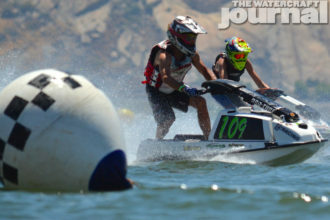 The highest amount of wear comes from jumping the ski out of the water, allowing the revs to get very high with the unloaded jet pump, and then coming back down into the water and having that instant drop in RPMs. 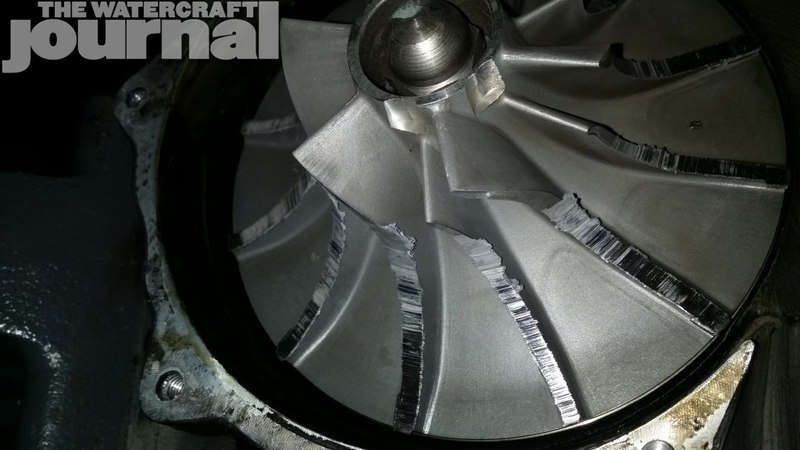 While the engine might go from say 9,000 rpm down to 4,500 rpm, the supercharger impeller has to decelerate from 50,000 rpm to 25,000 rpm. Aggressive riding or surf jumping is directly attributed to producing the most wear and heat on these clutches. 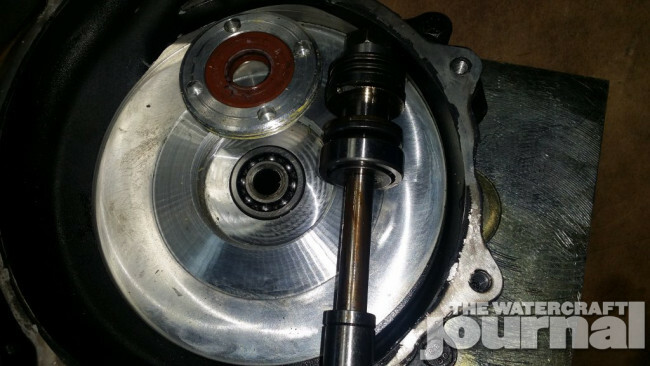 Throughout the life of the clutch, aggressive riding of this type will drastically reduce the hold of the clutch, inducing additional slippage, which generates more friction and heat. 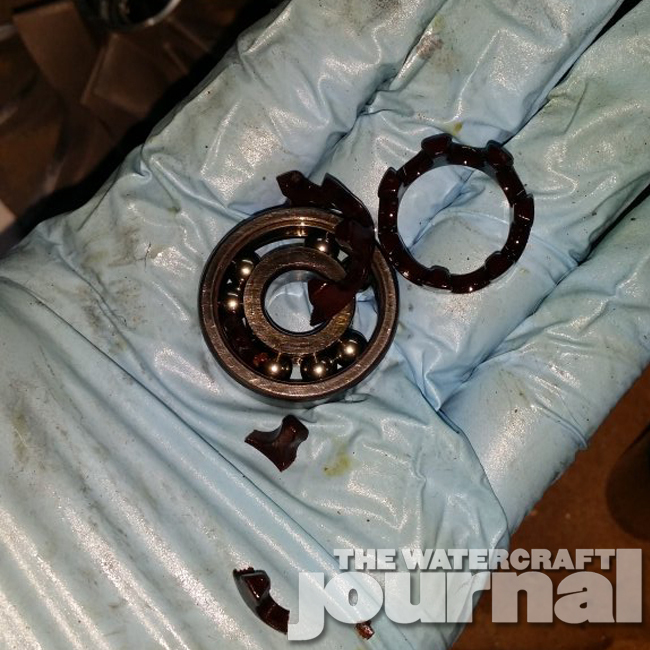 And although metal clutch washers do manage to fail every now and again, Zammataro revealed that it is the bearings that suffer the worstwear and tear. “The bearings get essentially splash oil. 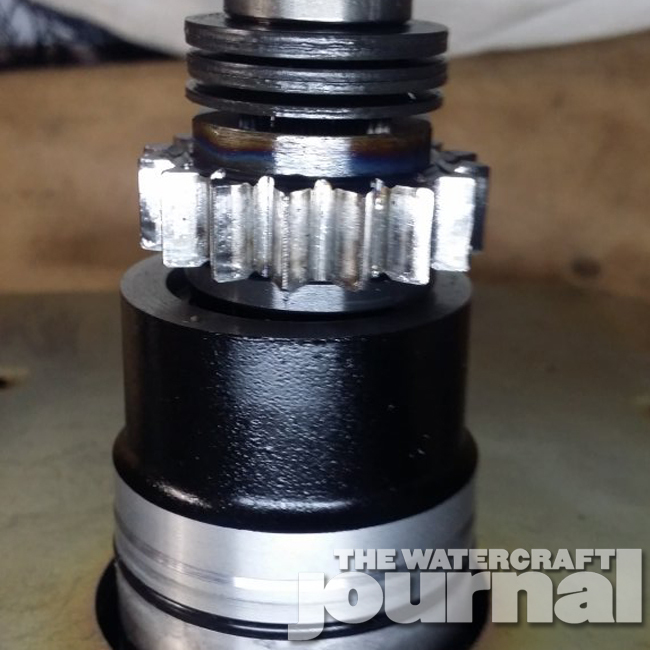 They do not have a dedicated oil passage, despite revving to up to 50,000 rpm,” Zammataro explained. “Because of this, plastic cages need to be used to reduce friction. If metal cages were used, they fail due to the additional friction. These plastic cages, however, become brittle over time and heat. When the clutches slip, we see the bearings fail more often due to the additional heat. 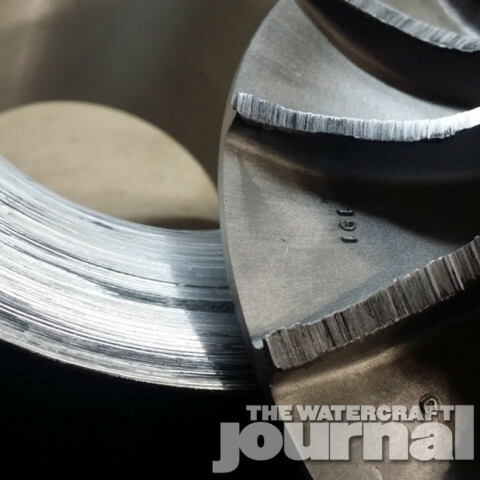 “When the clutches fail (especially with metal clutch washers), usually if addressed immediately, the affects are reversible. 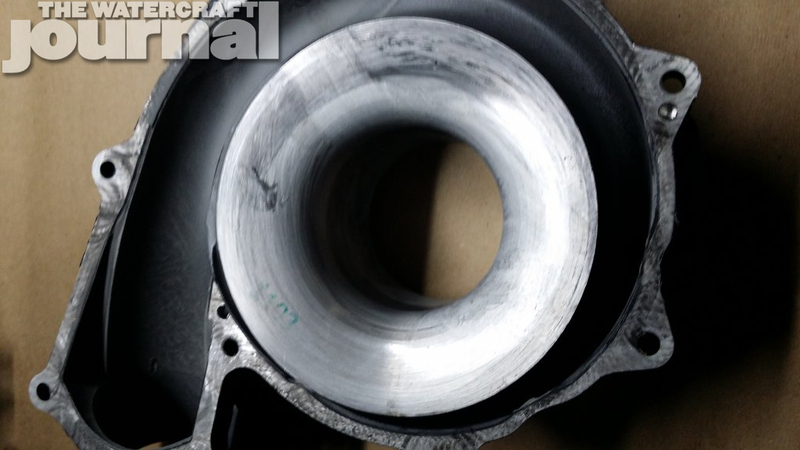 You need to rebuild the supercharger and extract the metal washers from the engine. If the owner continues to take out their ski and ride, the metal washers will work their way past that oil screen and severely damage the engine. 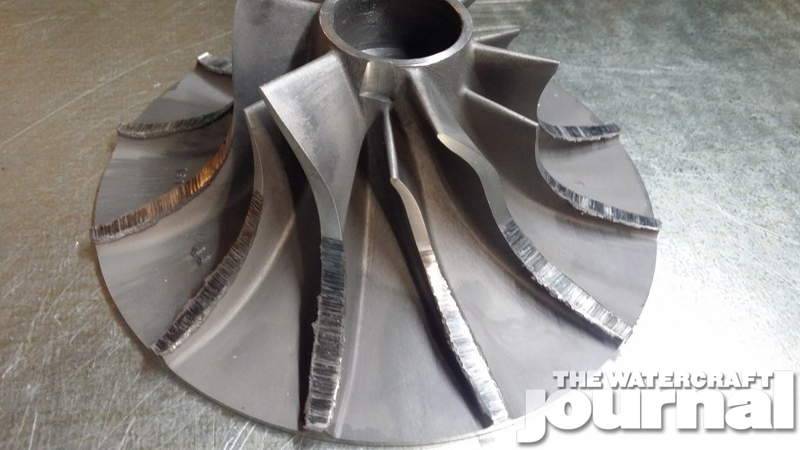 PWC Muscle prides itself on its quality, and its rebuilt superchargers come assembled with absolute precision, with each of the impellers individually balanced prior to reassembly. When rebuilding the supercharger, Zammataro and his team keep strict adherence to the clearances, as they are extremely important for the longevity and reliability of the supercharger. Zammataro noted that due to the design of the plastic cage bearings, the bearings must be installed in a special sequence to avoid adding lateral stress or risk a premature failure. 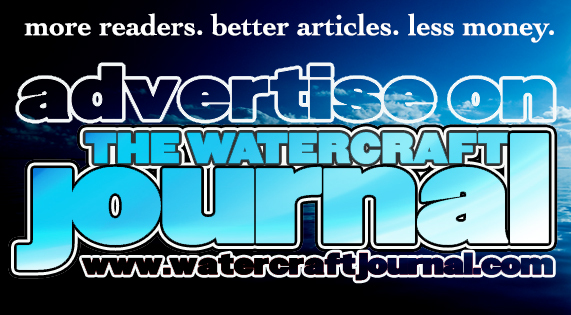 “When maintained, supercharged Sea-Doos are very reliable. 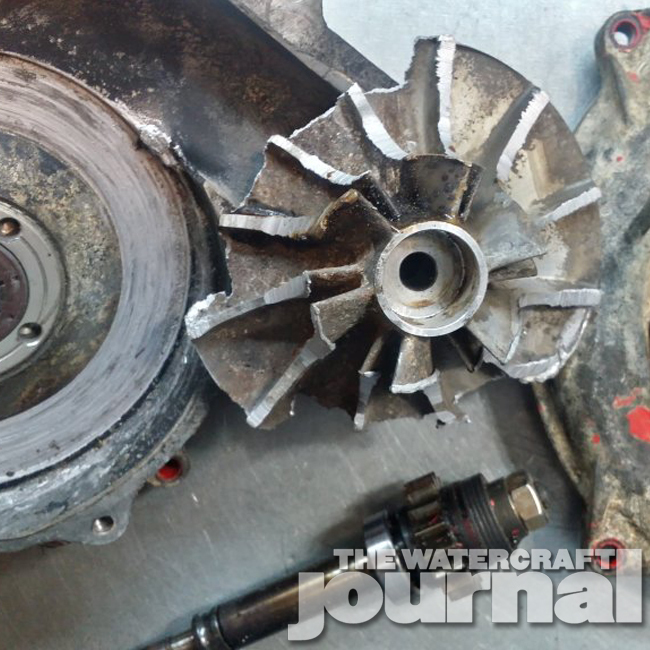 Since Sea-Doo had the last revision of their rebuild kits, we are no longer seeing supercharger failures within the service interval from normal use,” Zammataro noted. “To check the supercharger, while the ski is off, remove the intake hose and carefully try to spin the impeller by hand. If it can be spun more than 20′ degrees, then the clutch is slipping and a rebuild is required. Likewise, if the ski won’t go over about 50, it usually is from needing a rebuild. 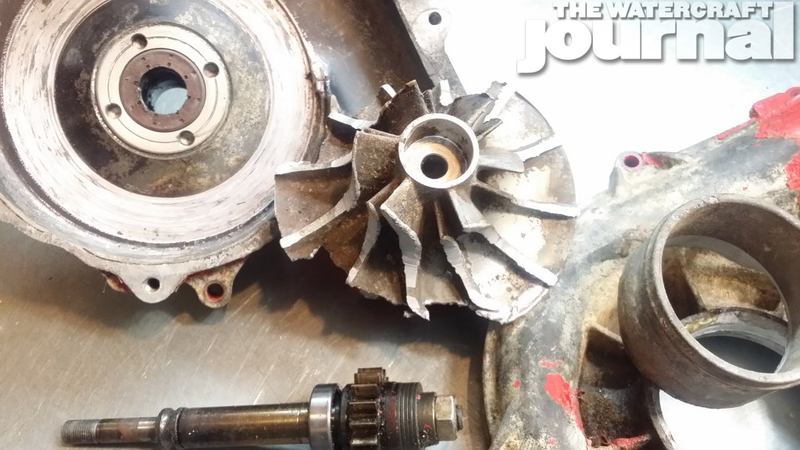 “In about 99.5% of the supercharger rebuilds we do handle, we can repair them. Additional costs may be involved (ie; new impeller), but typically we don’t raise the price for this. Luckily, we have the art of rebuilding down to a science. Our supercharger rebuild service is the most affordable and reliable way to keep the supercharger maintained. We use only 100-percent OEM parts. 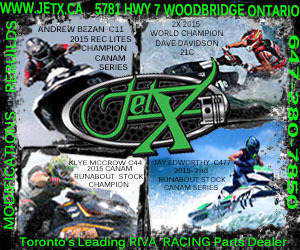 Maintenance is key to any and all high performance engines, and the incredibly popular Rotax 4-tec engines are no different. PWC Muscle sees plenty of superchargers come in that look as pristine as the day they left the assembly line, their owners simply fulfilling their obligation to keep their skis running in tip-top shape. 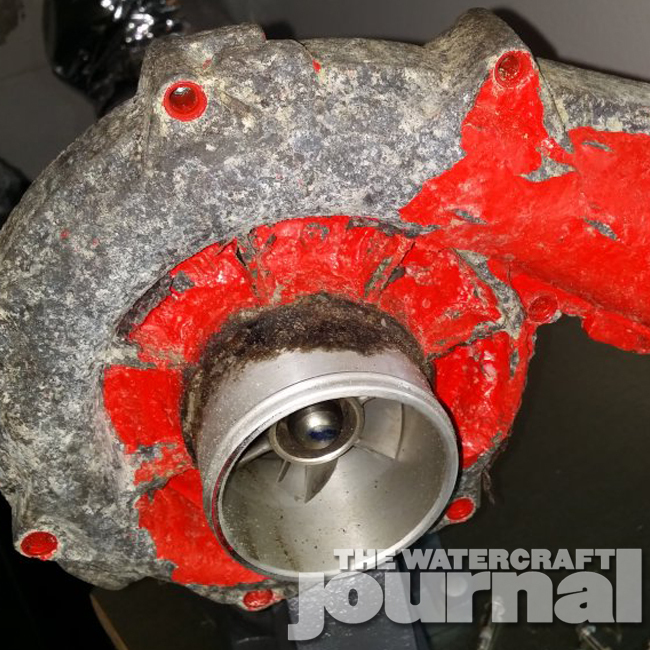 Others, sadly, don’t take care of their watercraft and often see damage like this or worse.